Do you really know who Tesla was? When I asked this question to most of my friends who are in the field of science, their answers were rather disappointing. People either knew a lot about him or knew nothing. Obviously the type of person he is, you can’t resist to just take him away from your mind. The non science graduates didn’t have to ever read about him in their course. But I am sure you would have got an opportunity to read about this great man either online, from friends, novels, movies, documentaries etc. Or at least you would have heard distant whispers about him. I don’t know how much does this person make anyone curious but he surely made a huge impact on me. He was a man who was ridiculed initially and later praised for his ideas. Failing most of the times but he never lost his focus. His life epitomizes selflessness, humbleness, hard work and lastly genius. I accidently happen to read the book, Nikola Tesla: Imagination and the Man That Invented the 20th Century by Sean Patrick. This book has three chapters. The first chapter arrives meticulously at the definition of a ‘’genius’’ by comparing IQs and the ability to excel. It states that, there is nothing called as ‘’God’s gift’’, it is just the amount of constructive hours you put in your work. More than anything, what differentiates the genius and people with all traits to be a genius is their ‘’imagination’’. Their ability to imagine and actually see their ideas in their imagination. Ideas and knowledge is waste if there is no imagination. The author lays focus on imagination and in the second chapter talks about the genius, Nikola Tesla. He briskly runs through his major inventions and focuses on the ‘’ war of currents’’ between Tesla and Edison. The author also slightly gives an idea of the feud between the giants, Edison and Tesla. Personally I felt that to make money and to achieve fame we should have good marketing strategies, which Edison had. Actually in one of the passages, Tesla talks about his idea of an AC motor, whose design has been laid in his mind. When everyone rejects his idea, he waits patiently and gets a potential investor. After building the model, he just says that, ‘’ this is as I had imagined’’. The author gives a brief introduction of his life and failures. He also talks about his patent fight for discovering radio waves against Guglielmo Marconi. After Tesla’s death, he was declared as the ‘’ real father of radio’’. Tesla even rejects his noble prize which was supposed to be shared with Edison. Just by reading this brief introduction, you would know that, he is so humble, selfless and down to earth. In one instance when the Westinghouse company was bankrupt, and was supposed to pay 1million dollars as royalty to Tesla, he simply says that, ‘’ when no one had faith in my ideas, you were the one who showed confidence in me. You are my friend and you helped me a lot. Now I shall tear apart the papers and you no need to give me any royalty,’’ His idea was just to help the mankind and not money minting. He died penniless and alone. Such a tragic death to the genius. The third chapter talks about creativity. Creativity is not an innate quality but it is something which you gain by imagination and the most creative persons have good imaginations and the best imagination leads the path to be a genius. Say Picasso, Michelangelo and the list is endless. This book is excellent read for people who want to know about Tesla in brief. Actually I would recommend this book for school kids, for its simple and easy language. Generally a large volume doesn’t motivate the kids, but this short one would surely do. 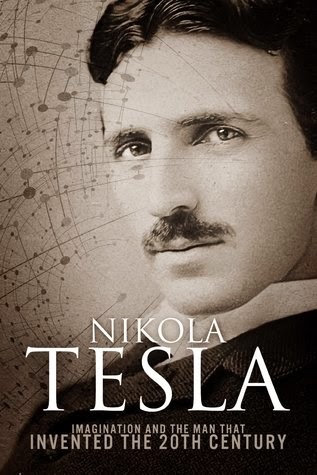 But if you are looking to read about Tesla’s biography, then this is the wrong book. Wikipedia offers much more information. If you dont know this man, know him soon. He will inspire you in every possible way. Lastly, thank you Tesla for lightning our world with your ideas and selflessness. good synopsis friend... I only started investigating on him after I watched the movie Prestige! Disgraceful, but yes! He's a forgotten/suppressed hero! okay thats good. he is no doubt a genius. it is always good to learn about him. Yes he is indeed a great man and the forgotten hero - Nikola Tesla.